Our fundraising storefront is up for Just Love Coffee! Click on the logo above to go to our store, or visit this link: http://www.justlovecoffee.com/TheDavises. You can order some pretty cool tees, hats and other gear if you aren't a coffee drinker. Coffee is a great holiday gift, so stock up for those last-minute gifts to the postman, hairdresser, teachers, and other service providers. Thanks for visiting our store! We are about five thousand dollars away from having all the money together to pay for Sarge's adoption. For every bag of coffee sold in our storefront, we will receive $5. We also receive a portion of the proceeds from the other products like t-shirts. We are very thankful that Rob Webb created Just Love Coffee to help families raise money for adoptions while providing a great product! P.S. Below is the "about us" narrative from the website. It explains the background for Just Love Coffee. "Rob Webb knows coffee. When Rob was two years old, his father started Webb's Coffee Service, which blossomed into a full-blown refreshment service supplying businesses in Nashville, TN and the surrounding areas, and is now run by Rob. Rob Webb knows the adoption process. In the summer of 2008, Rob and his wife Emily were called to adopt from Ethiopia. 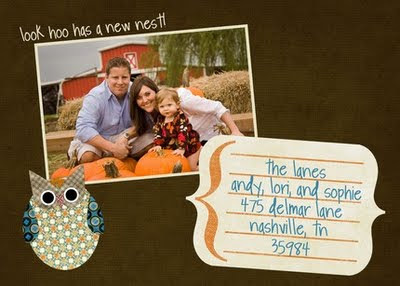 After much prayer and discussion with their first two children they started their adoption journey in August 2008. During the flurry of paperwork and preparation, Rob & Emily read books not only on adoption in general, but specifically on Ethiopia. Learning that Ethiopia is the birthplace of coffee caught Rob's attention, and after reading about the living conditions and wages of the average coffee farmer, he was compelled to take action. What developed through his reading and his trip to Ethiopia to unite with his daughters was a realization that he could combine his expertise and longstanding desire to roast his own coffees with his desire to help others. 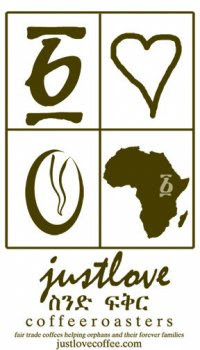 Just Love Coffee Roasters was born! Roasting Fair Trade Specialty coffees, Just Love uses proceeds to help an Ethiopian orphanage and families adopting not just from Ethiopia, but from anywhere in the world." This year, a lot of the gifts under our tree are going to be products that donate all or a portion of their proceeds to fund adoptions. If you are fundraising and want me to feature your products on both of my blogs, please leave a comment and I will do a special post dedicated to your fundraising efforts! I'm kicking it off with one of my favorites so far. These hats are just too adorable. I've ordered hats and scarves for Clayton and John Sergeant already and now I'm thinking about getting and adult one for me! They are SOOOOOO CUTE! 100% of the money raised goes toward the adoption of sweet Olive! Place your order soon so it can get here in time for Christmas! Click on the link below for more styles and designs. We mailed our I-600A Application with a big fat check to the USCIS today. Just FYI for any of you who are adopting and haven't done this step yet, there has been a change in where you send your application. All of the apps now go to Lewisville, TX, and then they will forward it to your local office. I'm not sure why they decided to do it that way. Seems like an extra step to me. I'm hoping it doesn't slow down the process! Just in case you have no clue what I'm talking about; basically, it means we have to get another set of fingerprints done. 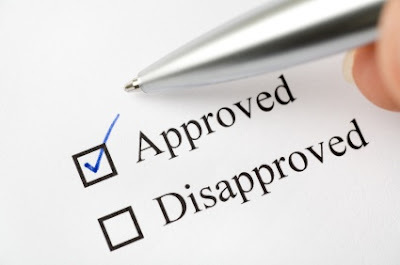 We had to have one set done a couple of months ago for the state background check. 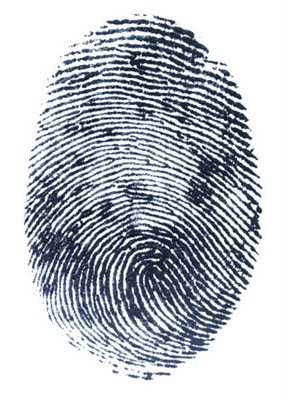 The fingerprints we have to get next are biometric fingerprints through the Department of Homeland Security. After they get our application, they will give us an appointment and tell us when to go get them done at the nearest "local" office. Our closest office in Birmingham. So before you watch this video, I want to ask you a question: what are you doing for "the least of these?" If your answer is "nothing", then pray and ask God what you should be doing to help care for orphans. I know not everyone can adopt. But there are so many other ways to participate in orphan care. For example, there are many families who want to adopt waiting children featured on this video. I have become friends with two of these waiting families. The reason they aren't able to adopt? Money. That's the only thing that keeps them from giving these children a loving home. It costs anywhere from 16-35K to adopt a child internationally (and for those of you who are wondering...it is about the same to adopt domestically...adoption is EXPENSIVE regardless of the country). Most people don't have that kind of money just lying around. You may be thinking, "well, if they don't have the money then they shouldn't adopt." If that is your response, let me ask you this: Would you say the same thing about someone trying to have a biological child? Most of us who have children the "normal" way don't have to come up with that kind of money to get pregnant. My opinion is that the expense of adoption is a tool of the enemy to keep orphaned children from having loving homes. There are great families, Godly families, who long to adopt one of these kids but simply can't because of the money required to pay for all of the adoption fees. My hope is that through watching this video, or maybe reading this blog, or whatever way the Holy Spirit moves you, that you will prayerfully consider participating in orphan care. If you don't know where to start, please email me or leave a comment and I will get in touch with you. Or maybe God will even move you to adopt one of these orphans with Down Syndrome! I'm here to tell you, a year ago, we could not have imagined adopting a child with Down Syndrome. But once we opened our heart and eyes to God's will for our lives, we knew without question we were supposed to parent one of these children. Well, just when it seems there is good news, the enemy comes in to try to extinguish hope. The family I talked about in the last post, the one that is in country and waiting for the paperwork issues to be worked out with their child, have been told that it looks like the paperwork may not be worked out (again). I can't imagine the roller coaster they are on at this moment. They need a lot of prayers and so does their waiting child. He is an older child, which means he will likely be institutionalized if they are not able to adopt him. :( :( :( Please get on your knees for this family! As for the other situation, there is no new information that I know of. Right now, it still looks like that child will not be adopted at this time. I am just praying for that child and the mother who hoped to bring her home. Please join me in praying for both of them and for the situation to somehow become a testimony to God's power and love. UPDATE: Just got word that it looks like the paperwork complications with the family that is already in country are being worked out and they will be able to adopt the child they had planned to adopt! Keep praying for the other situation to have a good ending as well! Adoption is full of unknowns. It's risky. It takes a lot of faith. Just like having a child biologically, there are a lot of things that could happen to end the "pregnancy". Tonight I've been reminded of how sometimes plans to adopt fall through and my heart is heavy for two families that I've met through Reece's Rainbow. Please pray with me for these families. I'm not going to put names on here. It's really not important, plus these families would probably appreciate the privacy. But specifically, you can pray that they will have peace as it looks like the children they expected to adopt may no longer available for adoption. One family is already in country and waiting to find out if paperwork can be worked out to allow them to move forward. The other person was finished with their homestudy and compiling the dossier when they received word that their child was no longer available through their adoption agency. Again, I'm asking you to please pray for these families. Thank you. That's the grade I would receive for blogging everyday for 31 days straight. Oh well, good thing it's not for a real test or anything. :) I'm still getting back on the horse and will try to blog for the rest of the month. I will not be defeated! Ha! Here is a little website I recently discovered and a link to an article that I found particularly interesting. Check it out! Especially if you are considering adopting a child with Down Syndrome. The name of the site is Down Syndrome Facts and Fiction. Our homestudy in-home visit is scheduled for 1 p.m. today! That will mark the end of our homestudy duties and the beginning of our wait for them to complete the homestudy report. I am sooooooo excited to be nearing the end of this (very important) part of our adoption process. Our house is cleaner that it has ever been, I think. Maybe even cleaner than when we first moved into our house! I know they're not looking for dust and lint, but I didn't want our social worker to open and closet and find "Monica's closet." either. My good friend, Karen, came over yesterday and spent the entire day helping me deep clean and organize. It was so nice to have someone else to work with and another set of "fresh eyes" to see things that needed to be done. She's a detail person so she wiped down and cleaned things that I would've never even noticed (read: top of the fridge, kitchen canisters, plant foliage, etc.). Hopefully I can maintain the house a little better now that I have a fresh start. I love to organize, but I tend to let things like dusting and wiping fan blades and windexing windows go for months and months and months! I'll update later today and let you know how it went. Say a little prayer for us! This adoption video was made by another family adopting two children from Reece's Rainbow. One has Down Syndrome. I love the song, especially the line, "your courage asks me what I am afraid of?" What are YOU afraid of? What is God asking YOU to do to live courageously for HIM? So many of you may be reading this adoption blog and thinking to yourself, "That's great that THEY are adopting, but I can't." Well, you may not be able to adopt (or you may not THINK you are able to adopt...I'm going to blog about that tomorrow so come back to read about it), but you CAN help orphans and participate in orphan care. God has COMMANDED us to care for orphans and widows (James 1:27). So before you think, "there's nothing I can do," please click on the Christmas Ornament in the left sidebar. After you read about the Angel Tree Project, PRAY about donating to one of the angels listed on the Reece's Rainbow Angel Tree. The pictures won't be up until NOVEMBER 1, so that gives you the rest of the month to PRAY about how much God wants you to give. 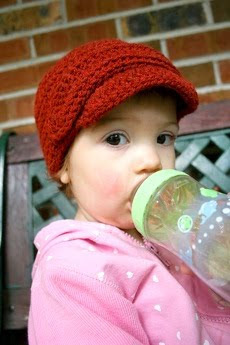 Any amount would be a huge step toward helping these children find forever families! The money goes to their grant funds. 100% of your donation will go toward the child's adoption. It is very expensive to save a child's life through adoption. So a child with a larger grant fund is often more attractive to potential adoptive parents, simply because it makes adoption a reality for them. So once again, please be a part of orphan care and donate to these children. I am a prayer warrior for Victoria and would love to see her have a HUGE grant and adoptive family as a result of the Angel Tree project! But if God puts another child on your heart, then by all means donate to them! All of these precious children need homes and your money, no matter how little or how much, could make it possible for them to find their forever family!!! I will be reminding you all again on November 1 that the Angel Tree is up, but until then, I want to strongly encourage you to PRAY about if God is calling you to be a part of the adoption of one of these sweet angels. Will Babies With Down Syndrome Just Disappear? After reading it, I did a little research and found that the statistics cited are not high. It's pretty much the same on every website I can find (+/- 2 percent). Approximately NINETY-TWO PERCENT...NINETY-TWO PERCENT! of women who are carrying a child with Down Syndrome elect to abort. NINETY-TWO PERCENT! It's staggering to me. I just can't get my head around that statistic. That is more than nine out of ten. Now I'm asking myself, what can be done? How do we change this? I don't know, but I'd love to hear your thoughts. So to start off, here's a great video about a kid with Down Syndrome named Matt Ziesel whose father is the coach of a high school football team. Matt practices with the team and at a recent game, scored his first touchdown in a real game. Read the story accompanying the video. What a great life lesson for everyone on the field and at the game about what is really important in life.